My dear friend’s little girl, Lola, recently turned one. I wanted to make her a quilt when she was born, but with moving and everything happening last year, I wasn’t able to get one made. I decided that instead, I’d make her one for her first birthday. I wanted something simple and fun, not too pink or overly girly. 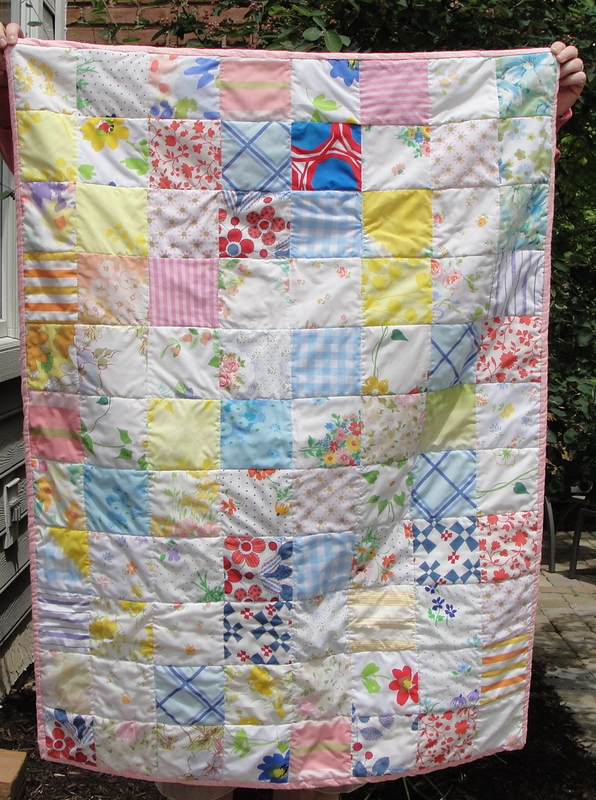 I ended up choosing to make a simple patchwork quilt using vintage sheets. I purchased them from Jeni’s shop from In Color Order. She has an amazing collection of vintage sheets, not to mention writes a great blog about sewing, quilting, and her pet bunny, George! I used the vintage sheets for the top and part of the back. 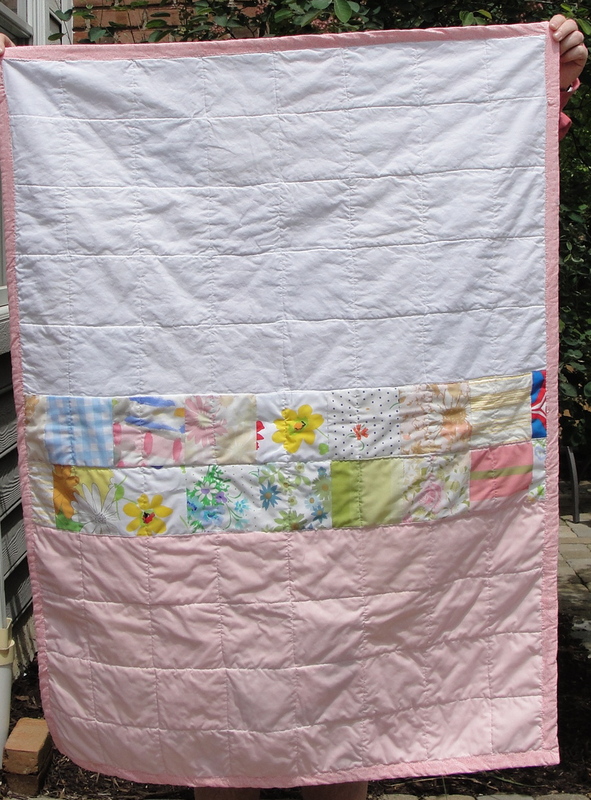 I used pink and white solids from my stash for the back and some pink calico quilter’s cotton that I picked up at Joann’s for the binding. I really love the range of colors and patterns from the vintage sheets, not to mention that it already has a soft, worn-in feeling to it. I hope that Lola enjoys it for many years to come.